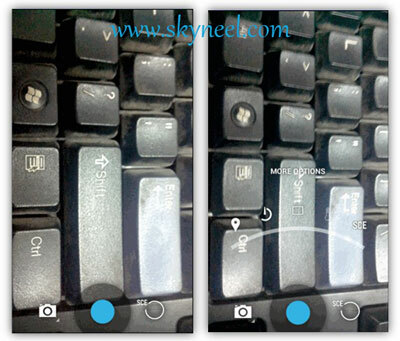 Hello friends, today we know “how to Improve your camera quality with Android 4.4 camera app”. At present time most of the mobile manufacturer companies launch budgeted smartphone which comes with different great features and latest technology. Now, We know that when any person want to buy any new latest technology smartphone then he will check all specification of the smartphone and compare with others. Most of the person’s give complete attention on the camera quality of smartphone. Google always tries to bring advanced camera features to Android for photos improvement. Now Google has recently announces new Android version, it called Android 4.4 KitKat and it comes with a new improved camera app. It has improved panorama with new high resolution panorama and improved Photo Sphere mode. It also improved the quality of your sweeping shots. If you want to take advantage of the improvements, without having to wait for an update of your phone via OTA from their device manufactures, then install Android 4.4 camera app and enjoy these features. Android 4.4 camera app is fabulous app and work great on Micromax A110 Canvas 2 and Canvas HD. It works all Android phone, try this app on your phone. I hope you like this Improve your camera quality with Android 4.4 camera app guide from which you will be able to easily Improve your camera quality with Android 4.4 camera app without any extra efforts. With the help of this app you will be able to take better picture quality with your smartphone. If feel any problem in this guide then please use comment box. Thanks to all. Hi Abhishek, you can use Google camera from Google play store. sir i have swipe elite with16MP auto focus rear and 8MP front but i m not getting nice photos. photos i clicked ussually get churned how should i get good photos? Use Google Camera app from Google play store. SIR. I AM PURCHASEDPURCHASED IN WIIO W15 MOBILE. MY MOBILE. 13 MP. AND 5 MP CAM. SO NOT COMMING GOOD QUALITY PHOTOS. PLEASE IMPROVE MY CAMARA QUALITY PROBLEM. Sir i buy cherry mobile tab my front and back had 2mx how to improve my cam ? please commenet asap! do this app work for all android phone.? You can find 4.4 Camera app in this post.